A Traditional Deluxe Heidi Bavarian Costume including a Dress and Apron – Ideal for Oktoberfest, or an Around the World fancy dress occasion! 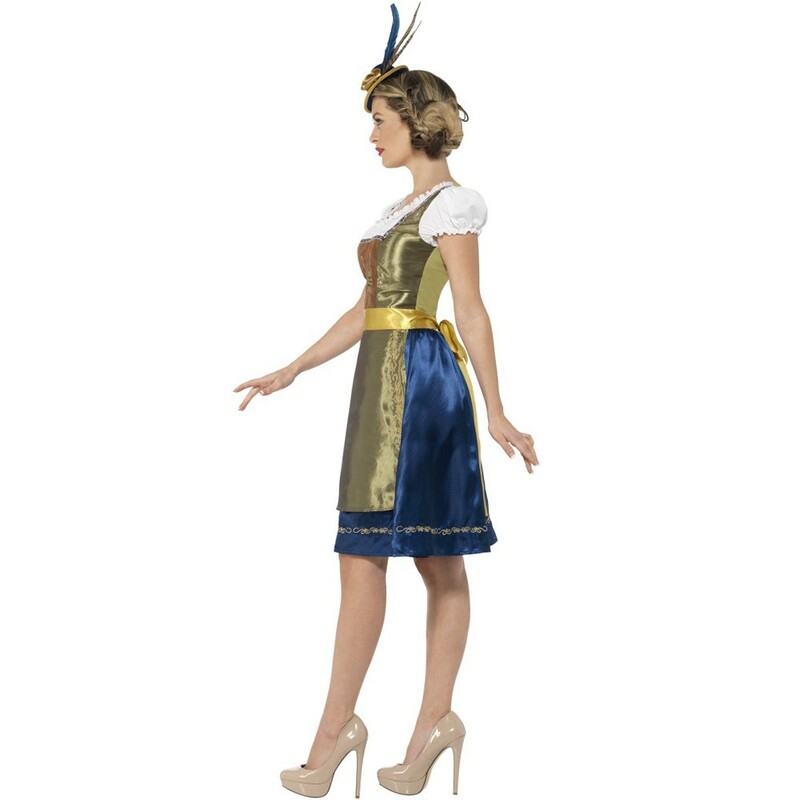 Get ready for an amazing Oktoberfest with this fantastic Traditional Deluxe Heidi Bavarian Costume. This costume comes complete including a Dress and Apron. This knee-length blue and green dress features white puff Sleeves, a Brown chest piece with an intricate traditional pattern, and features an intricate gold pattern decorating the hem of the skirt. The Green Apron features an ornate Gold pattern up the side, to complete this beautiful Traditional Deluxe Heidi Bavarian Costume. 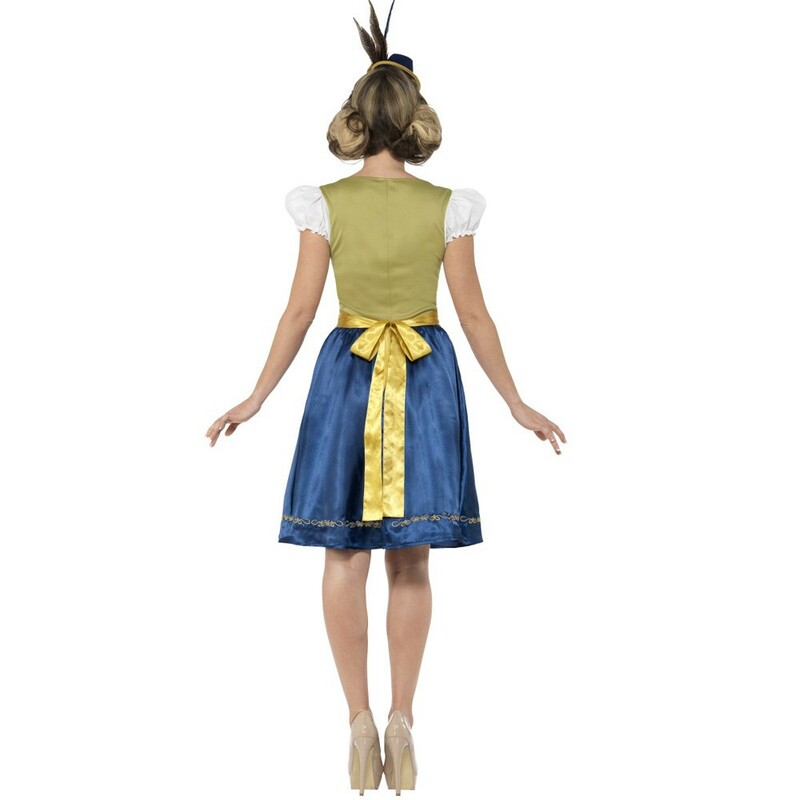 Perfect for an Around the World theme, Oktoberfest party, or any other fancy dress occasion, this Traditional Deluxe Heidi Bavarian Costume is sure to impress no matter what! 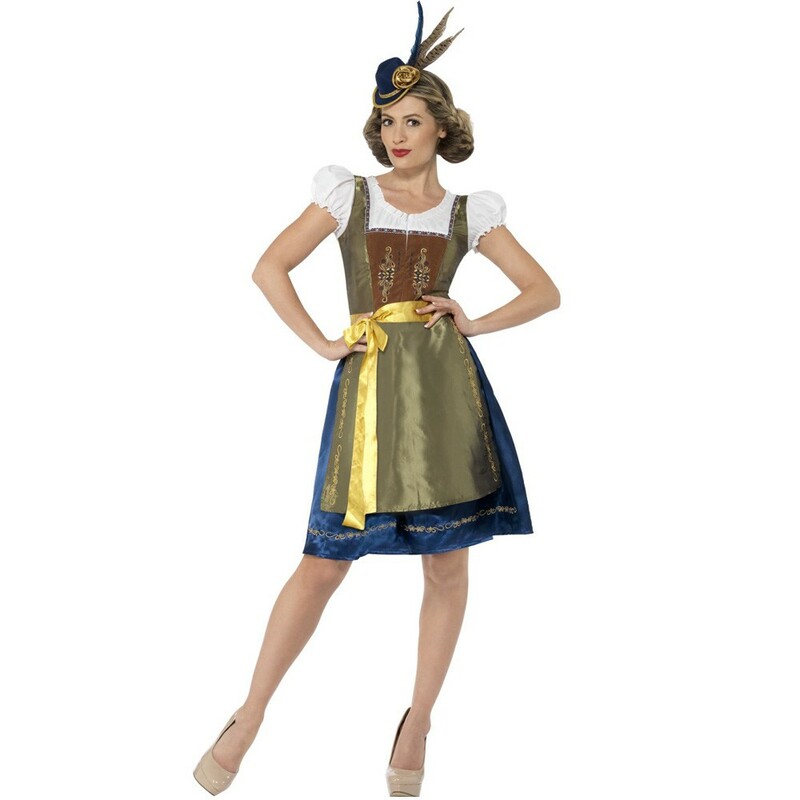 Wow the crowds with this incredibly detailed Traditional Deluxe Heidi Bavarian Costume and you’ll be sure to stand out! A Traditional Deluxe Heidi Bavarian Costume including a Dress and Apron.